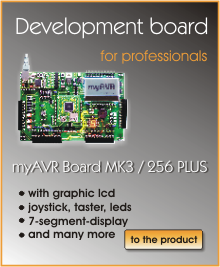 The hardware of the myAVR products based on AVR-controllers of the ATmega-series. This is provided both available ready equipped or as kit. All documents are bilingual, German and English. The Software and books are complete in german. 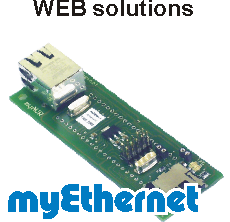 systemboards and programmer The system boards are completely equipped experimental and development boards. 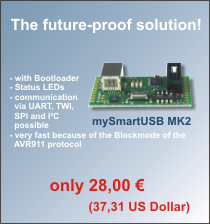 Via USB interface are the PC and the programmer able to communicate over different protocolls (myMode, AVR910/911, STK500) with each other. hardware - assembly kits hardware and add-ons for "do it yourself"